Thomas’s statement goes against the premise underlying the bill to ban the UK trade in ivory, which had its second reading in parliament on 4 June. 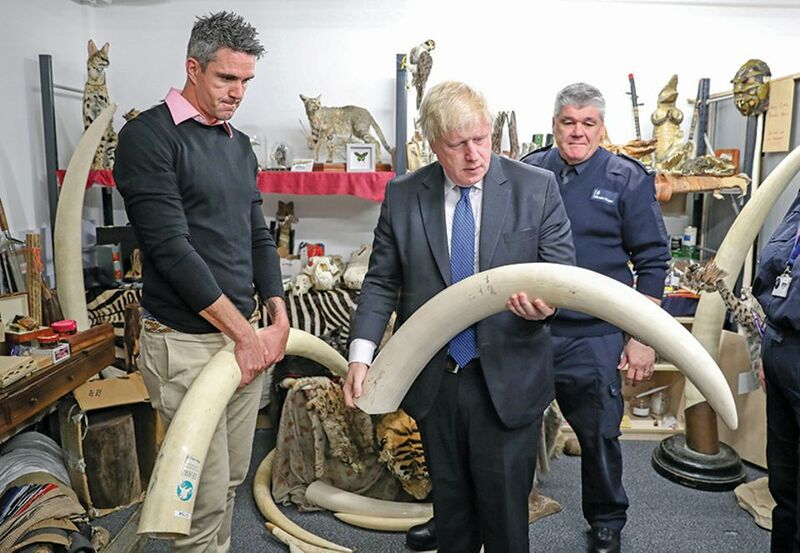 The government is aiming to announce its enactment at a large international conference about the illegal wildlife trade, which the Foreign Office is hosting in October in London. It fulfils the promise made in the 2015 Conservative manifesto and is strongly supported by both Boris Johnson, the Foreign Secretary, and Environment Secretary Michael Gove. Lobby groups such as Born Free, the World Wildlife Fund and 38 Degrees have campaigned hard for this law, with petitions online such as Avaaz’s Save the Elephants: Stop Bloody Ivory, which asked people “to reject any exemptions in the global ban on the ivory trade…to take all necessary steps to enforce that ban and protect the elephants”. This effective and emotive campaign had 430,000 signatures. All these petitions are phrased in such a way as to suggest that a ban on the sale of all ivory, whatever its date, will directly or indirectly cause the market to die out and therefore save the elephants, but this is not borne out by the realities of the market. Thomas says: “There is a lot of fuss being made about the UK being a major re-exporter of ivory, but I suspect that limiting the sale of ivory in the UK will not make any difference to the demand for ivory in Asia, where the taste is for new items.” His statement is based on the 2016 survey by Traffic of the UK trade, which showed that no new or “raw” (unworked) ivory—which derives from elephants killed now or recently—was seen in any of the UK’s antique markets or shops. It also stated that the majority of the exports from the UK for 2005-15 was of worked ivory and only 2% of raw ivory. Trade data therefore needs to be analysed more critically. For example, the CITES Trade Database export data for elephant ivory and ivory products for 2006–15 (1,874 ivory transactions) states that the EU is the single largest exporter of ivory items by number of reported transactions. Here, the key phrase is “by number”. Since nearly all the EU trade is in worked items, these are not “bloody tusks” but, for the most part, the usual collectables that you find in an antiques market, the knick-knacks of the expanding 19th-century bourgeoisie. Thomas also rejects the idea that the UK is a clearing house for poached ivory tusks, the “bloody ivory” of the Avaaz petition. “There is precious little evidence that tusks are being shipped via the UK, except illegally in aeroplanes that touch down here,” he says. According to data published by the Elephant Trade Information System (ETIS) in 2016, 80% of seizure cases over the last decade, with the UK as the final destination, involved just one or two items—in other words, tourist smuggling. “It is not the markets in the West that are fuelling the poaching crisis,” says Thomas. “President Obama’s banning of the ivory trade in the US in 2014 was of much less consequence than the 2017 Chinese moratorium on the importation and working of ivory”. The much publicised bonfires of captured ivory tusks are foolish, he believes: “All they do is put the price up.” He thinks it would be better for government stockpiles in Africa to be sold. Botswana, for example, derives 15 tonnes a year from natural elephant mortality and, together with Namibia, South Africa and Zimbabwe, it has CITES permission to put it on the market. There have been two sales so far: one in 1999, when Japan bought the whole lot, and in 2008, with Japan and China the buyers. There is opposition, however, from some parties to CITES who believe that such sales encourage demand, but Thomas says that Traffic has found no such link. There is no doubt that African countries with declining populations of elephants require financial and practical assistance to guard them, while those like Botswana, with large herds, need help with husbanding them, but in both cases, the incentives must be stronger than the pull of the Asian trade. The proposed UK law provides for neither. The conservationist Lucy Vigne, an ivory trade researcher working in East Africa, has gone so far as to say that “This recent issue in the West has been taking away valuable time and resources from dealing with the big issues we are facing urgently, ie; the trade in new ivory in Asia and poaching in Africa” (Financial Times, 9 September 2016). And then there is the onus that the proposed law puts on museum curators, who will have to decide which worked, pre-1918, ivory items qualify as being of “outstandingly high artistic, cultural or historical value” and may therefore be sold. This will be in addition to their role in the export licensing process, whereby in 2016-17 nearly 30,000 applications for works of art, manuscripts and archives were considered by the Department for Digital, Culture, Media and Sport, with museum curators painstakingly evaluating the most important of them. Did the Department for Environment, Food and Rural Affairs consider the unintended consequences of this law as it was drafting the bill? Raw ivory Unworked tusks or parts of tusks. Worked ivory Defined by the 1997 EU Regulation as “specimens that were significantly altered from their natural raw state for jewellery, adornment, art, utility or musical instruments, more than 50 years before the entry into force of the Regulation, that is before 3 March 1947 (EU Guidelines (2017/C154/06). The great majority of the ivory in the UK, US, and EU is worked ivory (see Re-export of ivory). In the 20th century, most of its domestic uses have been replaced by materials such as plastic, while there is almost no UK demand for modern knick-knacks. Mortality ivory Tusks from elephants that have died of natural causes. Re-export of ivory By its nature, all ivory in the UK, EU and US has been imported at some point. Any passage outwards of such items is called a “re-export”. 3 March 1947 Fifty years before the 1997 EU Regulation (see below). Worked ivory items produced before 1947 may be sold without restrictions, while a certificate is required for ivory items produced after 1947. This will change in the UK under the proposed law. 1 July 1975 The Convention on International Trade in Endangered Species of Wild Fauna and Flora (CITES) enters into force, run by the United Nations Environment Programme. CITES is the authority that provides the benchmarks and framework regulations for the ivory trade. By June 2016 there were 183 contracting parties to the convention and meetings are held every two to three years. CITES is funded by the countries party to the convention, with the UK a major contributor. The CITES management authority for the UK is the Department for Environment, Food and Rural Affairs. 1976 Traffic is founded, the leading NGO researching the trade in wild animals and plants, with 120 staff of more than 25 nationalities, organised in six regional teams in key wildlife trading areas of the world. Its data and their presentation are considered objective and statistically sound, and contribute largely to CITES policy and to ETIS (see below) reports, which are available online. Traffic’s headquarters are in Cambridge, UK. August 1976 The UK was one of the first countries to ratify CITES, now largely superseded by the 1997 EU Regulation and its 2017 amendment (see below). 1989 the CITES resolution commonly known as the “Ivory Ban”, whereby international, but not domestic, trade in African elephant ivory was prohibited as from 18 January 1990 (already banned for the Asian elephant from I July 1975). International prices fall sharply; African nations, with the financial assistance of Western countries, make efforts to enforce the ban. There is a revival in elephant populations. But some African countries with strong elephant conservation programmes argue that a total ban on selling confiscated ivory hurts their abilities to fund conservation. 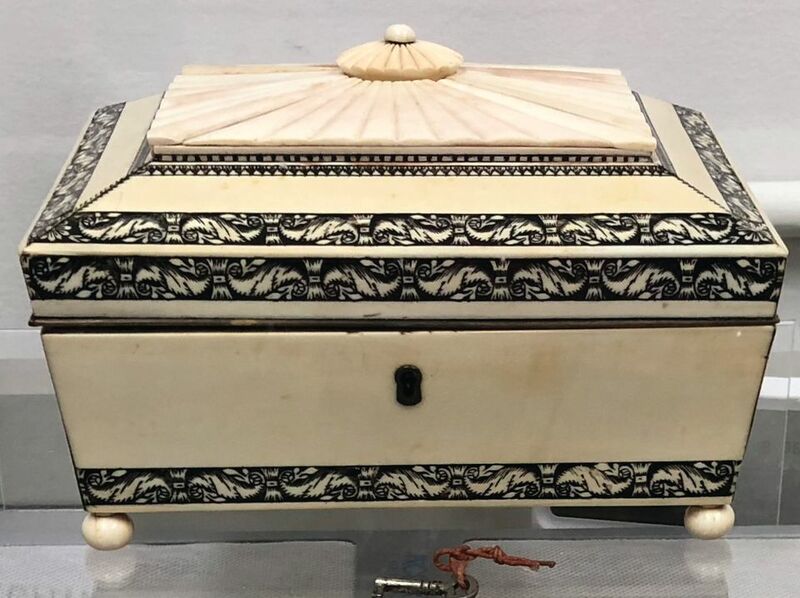 1997 CITES meeting votes to reintroduce a limited trade as from 1999.
worked ivory items produced post-1947 may still be sold with a certificate. There is no clear evidence, the guidelines state, to justify suspending the sale of worked ivory. 1999 Elephant Trade Information System (ETIS) is set up, a database of seizures of elephant specimens anywhere in the world since 1989. ETIS has been managed by Traffic on behalf of parties to CITES and it is currently housed at the Traffic East/Southern Africa office in Harare, Zimbabwe. 25 February 2014 President Obama’s Director’s Order 210. Since then the movement of ivory into the US has effectively been banned, and internal commercial transactions are subject to very heavy restrictions that vary from state to state. 2016 CITES meeting recommended that countries with a legal domestic market that contribute to poaching or illegal trade take steps to close down commerce in raw and worked ivory. Traffic’s research proves that the UK’s legal trade does not contribute to poaching or the illegal trade. 31 December 2017 China’s total ban on the commercial processing and sale of ivory and ivory products comes into force. Trade in any item that is more than 20% ivory must be registered with a national database.